TL; DR: In today’s increasingly mobile-centric world, texting has taken over as the communication method of choice for those on the go. As a result, many of us are spending more time crafting messages and correcting typos than ever before. 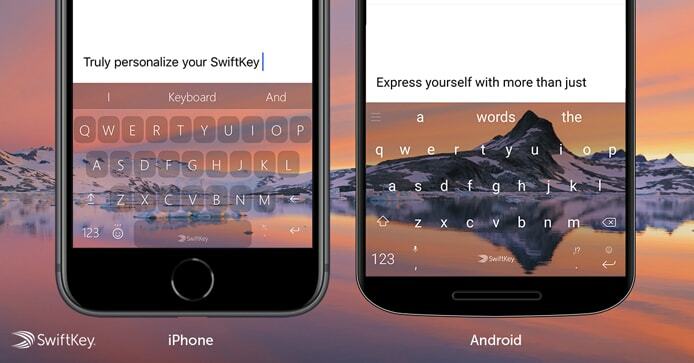 And, SwiftKey, the developer behind a smarter mobile keyboard, is here to change that. SwiftKey uses machine learning to understand and predict language more accurately than standard smartphone keyboards. The technology adapts to your personal writing style, correcting and filling in the blanks as you write. For SwiftKey users, this has equated to a combined savings of an estimated 10 trillion keystrokes and 100,000 years of typing time. After years of scrolling through Facebook feeds, we’ve all witnessed a number of amusing posting trends. Friends, family, and colleagues always seem to jump on the latest bandwagon. One month, it’s personality quizzes; the next, it’s an emoji-filled border to illustrate a cover photo. I once noticed a post where several friends seemed to have typed a string of garbled messages. Viewing the thread in its entirety, however, it became evident they were actually engaged in a challenge to see who could type the most humorous and typo-riddled sentences using the autofill feature on their mobile keyboards. After a few chuckles, I decided to post my own comical results, marveling at the ironic juxtaposition of cutting-edge innovation and a stunning lack of real human intelligence. “Well,” I reasoned, “They are just computers, after all.” Besides providing substantial entertainment value, this shortcoming in keyboard intelligence isn’t particularly practical. Mobile communication is a product of necessity, and small keyboards make fast, flawless typing much more challenging without accurate language prediction. While standard mobile keyboards do use predictive intelligence — mainly based on commonly used phrases — the actual level of intelligence is limited. In contrast, SwiftKey keyboards use neural networks to more accurately mimic human speech. SwiftKey’s keyboard prediction software uses cutting-edge AI to help streamline typing on mobile devices. SwiftKey Neural Alpha is a next-gen keyboard that has “learned” to more accurately associate related words, phrases, and grammar. Swiftkey Neural Alpha is available in over 100 languages, making mobile communications easier across the globe. “Users sometimes tell us, ‘You know, SwiftKey just read my mind!’” said SwiftKey AI Software Engineer Doug Orr. SwiftKey got its official start in 2008 in the wake of the smartphone revolution — a perfect time to improve upon imperfect early mobile input methods. In 2010, SwiftKey launched its first keyboard application to rousing success. In the following years, artificial intelligence would become a hot topic, prompting the SwiftKey team to investigate. And, in 2015, the new SwiftKey Neural Alpha was announced. Originally released via SwiftKey Greenhouse — a program where team members can seed new ideas — the experimental technology was eventually built into the SwiftKey market app. The language model was completely rebuilt from scratch, but the keyboard didn’t have to be, as Neural Alpha shared more than 99% of SwiftKey’s code. But Neural Alpha made it different from any other keyboard at the time — it bypassed the n-gram model in favor of neural networks. While the n-gram model made predictions based on the previous two words typed, the neural network version was able to look further back in the sentence for added context. Though SwiftKey has grown tremendously over the years, the company still retains its quirky startup culture. Shortly before Neural Alpha’s release, Microsoft had shown interest in a merger. Given its massive prominence in the world of tech, Microsoft’s continued investment in AI is no surprise. Realizing the company’s mutual enthusiasm for machine learning, Microsoft took SwiftKey under its wing in early 2016. And, $250 million later, SwiftKey has kept true to its startup attitude despite having a hand in developing some of the most intriguing technology of our time. When it came to developing Neural Alpha, SwiftKey had to overcome a number of hurdles to make mobile communications more intuitive. 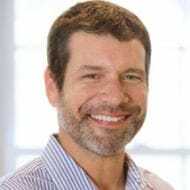 Given the ever-evolving nature of language, as well as the sheer volume of data involved, Doug told us the project was a lot of work but rewarding to see it in users’ hands. SwiftKey’s neural networks are gradually trained to predict words, reminiscent of how humans learn to speak a language. And this learning doesn’t end at the assembly line. To give accurate predictions, Neural Alpha must first study and learn from the user’s language habits. SwiftKey’s software learns from a user’s typing habits and accurately suggests words to make texting easier. SwiftKey aims to create and implement innovative intelligence models within mobile apps while also maintaining consistent performance. “These newer deep learning models are doing a lot of work locally on the device,” Doug said. As such, SwiftKey has had to periodically tweak its keyboard to run better across various devices. Severe input lag could render a device completely unusable, and considerations for memory efficiency are especially important on low-end devices. “It’s been an ongoing and really interesting challenge here at SwiftKey,” Doug said. Deep learning models, such as those used by Neural Alpha, can predict keystrokes with incredible accuracy once sufficiently trained. The longer it has to learn users’ typing habits, the better it can predict the rest of their message, making texting and email faster. SwiftKey’s innovative keyboards are available for use on iOS and Adroid devices. Deep learning models rely on numerous floating point operations to parse the large amount of data inherent in language. SwiftKey’s keyboard uses both static and user-tailored models for prediction. Static models tell SwiftKey basic details about the language being used, such as how it looks, while personalized models learn from the user’s habits. SwiftKey’s flagship app enables users to save time by reducing keystrokes and avoiding typos. As a result, users have more meaningful, confusion-free conversations. Collectively, SwiftKey users have saved a combined 10 trillion keystrokes since its inception, which translates to more than 100,000 years saved in typing time. SwiftKey’s mission is to enhance the way people interact with technology by making it more adaptable. As a result, SwiftKey is responsible for one of the world’s most intuitive mobile input methods. Technology is far from static, and SwiftKey’s resolve is to create the perfect keyboard technology in the face of changes. Behind the scenes of SwiftKey’s deep learning AI is a team of eager tech enthusiasts, including Doug and his engineering team. Since its founding in 2008, SwiftKey has kept true to its startup roots while also partnering with prominent tech companies like Microsoft. “One thing that’s been created from our company culture is that ideas come from many developers and are judged based on their strength,” Doug said. He told us the best ideas are discussed during Innovation Weeks, where they eventually become part of SwiftKey’s growing portfolio of cutting-edge tech. In addition, SwiftKey Greenhouse allows the team to deliver new prototypes and let users test them via forum. Featured apps include ShakeSpeak — an amusingly Shakespeare-centric predictive keyboard — as well as the non-verbal assistance app SwiftKey Symbols. Today’s keyboards have come a long way from the highly repetitive keystrokes and impractically small buttons of yesteryear. Sending a lengthy text or email takes much less time with the refined technology offered by SwiftKey. Not only is SwiftKey’s software smarter than the average keyboard, but its intelligence is the result of a mass of code that seeks to mimic human ingenuity.